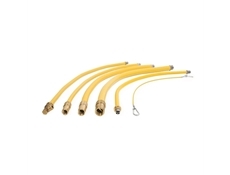 Die-Pat offers a wide range of commercial kitchen gas hoses. 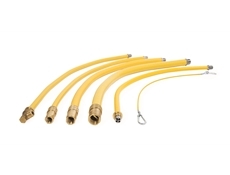 Our Caterhose gas hose range includes, braided hoses, restraining assemblies, standard assemblies and bayonet fittings. Our heavy-duty braided gas hoses are also fully approved and within our certificate of supply. Caterhose gas hoses offers fully welded, corrugated, stainless steel catering gas hose assemblies manufactured to the highest specification in order to meet the legal requirements of gas supply in catering appliances, using first, second and third family gases. All supplied c/w restraining wire.